Soil and Water Conservation Districts were an outgrowth of a difficult period in our Nation’s history. Their creation was hastened by a public awakening to the ravages of soil erosion, by the Depression, and the dust storms of the 1930’s. These storms brought ominous clouds of dust from the West to the Atlantic Seaboard and beyond. The destruction of millions of acres of land by soil erosion was a grave problem, not only to the farmers, but to the Nation itself. On April 27, 1935, an Act of Congress (16 U.S.C. 590a) established the Soil Conservation Service, formerly the Soil Erosion Service. It was set up as a permanent agency under the United States Department of Agriculture with the authority to work directly in an active program with farmers and ranchers in applying conservation practices to the land. The name of the agency was again changed, in October of 1994, to the Natural Resources Conservation Service. 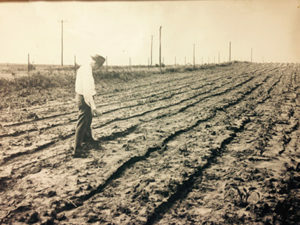 In 1936, the U. S. Department of Agriculture issued a pamphlet entitled “A Standard State Soil Conservation Districts Law. This publication informed the states about the kind of state law that would be acceptable to the USDA as a basis for further assistance from the Soil Conservation Service. It was prepared at the suggestion of representatives of a number of states. In the forward, signed by the Secretary of Agriculture, is the statement: “While it is anticipated that the Standard Act will be appropriate to the needs of most of the states in its present form, it is true, of course, that changes may have to be made in some of the provisions to adapt the legislation to the requirements of particular states. This Standard Act was studied by members of the University of Illinois Cooperative Extension Service, the Illinois Department of Agriculture, and interested farm organizations. As a result, several changes were made in the law for Illinois. The principal ones were to require land ownership as a qualification for voting on organization of a Soil Conservation District, to require a favorable majority of all qualified voters for organization, and to increase the necessary favorable vote for adoption of land-use regulations from a simple majority to three-fourths of all affected landowners. On July 9, 1937, the Illinois General Assembly adopted the Soil Conservation Districts Law. The first District formed under the Districts Law was the Shiloh-O’Fallon District (St. Clair County) in July 1938. The last District to be formed was the Sangamon County SWCD on February 19, 1959. Several amendments have been added to the Districts Law since 1937. 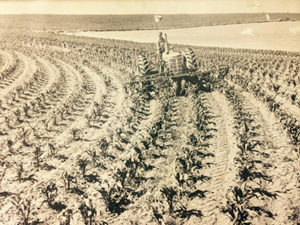 In 1961, certain responsibilities dealing with the conservation and protection of water resources were added to the Law and the word water was added to the title, making the districts “Soil and Water Conservation Districts.” The Law’s title was again changed, and it became the Illinois Soil and Water Conservation Districts Act in 1977. Perhaps the most significant change to the Districts Act occurred in 1977 when the General Assembly amended the Act giving the authority to the Illinois Department of Agriculture to develop a comprehensive state soil erosion and sediment control program. It included guidelines to be used by districts in the establishment and administration of local erosion and sediment control programs and standards. *NOTE: The reason for 99 districts is that Will County SWCD was formed September 6, 1946, and South Cook County SWCD was formed March 23, 1953. The two districts combined February 16, 1962.